Time for the first 2015 link up with the Style Me Bloggers. I'm really excited about continuing the series with these talented ladies, and we have some interesting topics planned this year. Stay tuned! Today we're supposed to be sharing items from our closet: something old, something new, something borrowed, and something in a shade of blue. Except..... I've already written about my old Dale of Norway sweater, and I looked and looked and couldn't come up with a single item that was borrowed. Apparently I am very good at returning things! So bear with me for my interpretation of this topic. Something old. This teacup and saucer belonged to my husbands' grandmother, Emma. She emigrated from Norway in the 1920's to marry a baker, which led her wealthy hotelier family to disown her. 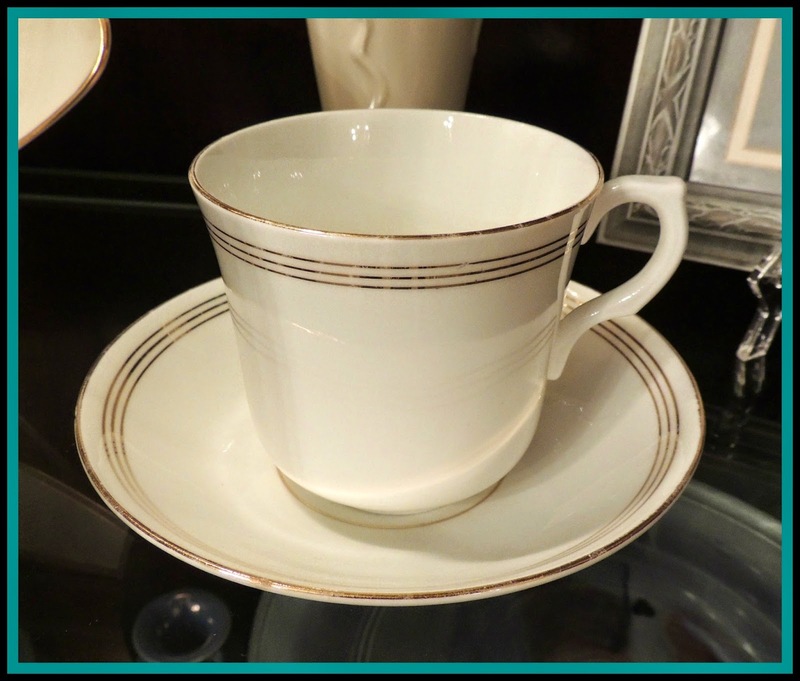 When she arrived in America, she carried few possessions, but one of them was this teacup. She passed away in the early 1960's, and my mother-in-law brought it home and had a cup of coffee in it every day. Now it's displayed at our house, and it reminds my husband of his mother and grandmother every time he looks at it. Something new. I received this Loft sweater from my sister for Christmas and I love it. The lace is attached to the bottom of the sweater, so it's perfect with leggings, and I really like the color. Something borrowed. 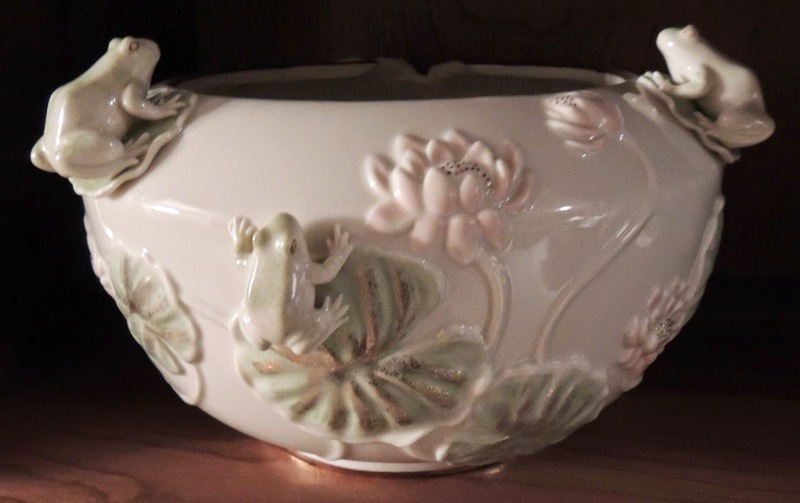 My mother-in-law gave my younger son this lovely Lenox frog bowl for his birthday. When he was eight. I don't know what she was thinking, but he loves frogs, and she enjoyed buying beautiful things. He really wanted to put it in his room, and it was his birthday present, so I said okay. Two days later it was broken (see the chip in the back)? Sigh. So I decided to borrow it until he has a house of his own someday, and for now it sits on a bookshelf in our living room. Something in a shade of blue. I'm participating in an Instagram challenge, and one of the prompts last week was "in your bag". When I looked through mine, I found this necklace that I bought a month ago and then forgot about. Oops. In the picture it looks kind of purple, but the stones are actually a deep blue color. Now that I've found it, I'm sure you'll see it in a future outfit. Oh, and I cleaned out my bag. I hope you'll link up with us today, or come back in two weeks for "2015 wishlist: what are you coveting"? 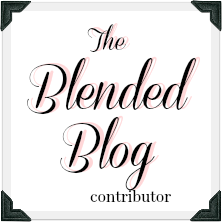 Be sure to check out the other Style Me Bloggers! Thanks Susan. Everytime I go into the Loft store I find something I like! I loved reading your story on the teacup and the frog bowl! You look so pretty in that Loft sweater! Great color on you! Thanks Jill. I don't think I have anything else this color in my closet. I loved reading your interpretation of the topic. Especially the story about your sons bowl. That is priceless! Yeah, he's not getting his hands on that bowl again until he graduates from college! I love that sweater. I got one with lace on the bottom recently and I get so many compliments on it. Your teacup and bowl have such special stories attached to them. Very pretty! The lace really adds something fun. I love the details in the stories you tell. Great post! Lovely Loft sweater! 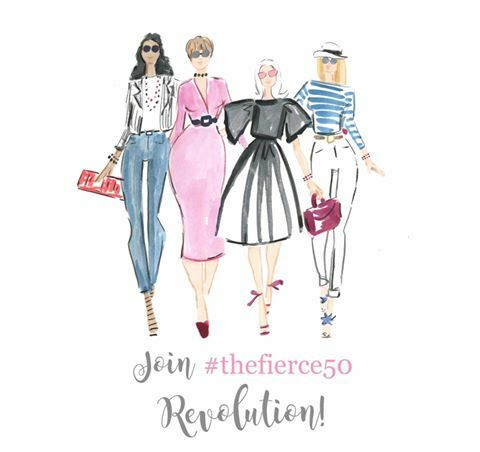 I really need to be in this linkup as I am wearing a super timeless LBD from my closet!! So glad you linked up with us today! I love the story of your tea cup. I also like that you are holding onto something special for your son!! Thanks for sharing such fantastic stories today. I'm now on the lookout for the Loft sweater - looks wonderful! I asked my sister - she got it at the Loft outlet, not the main store. Well, I couldn't come up with anything borrowed, so I had to get creative! That lace trimmed sweater looks fantastic on you! 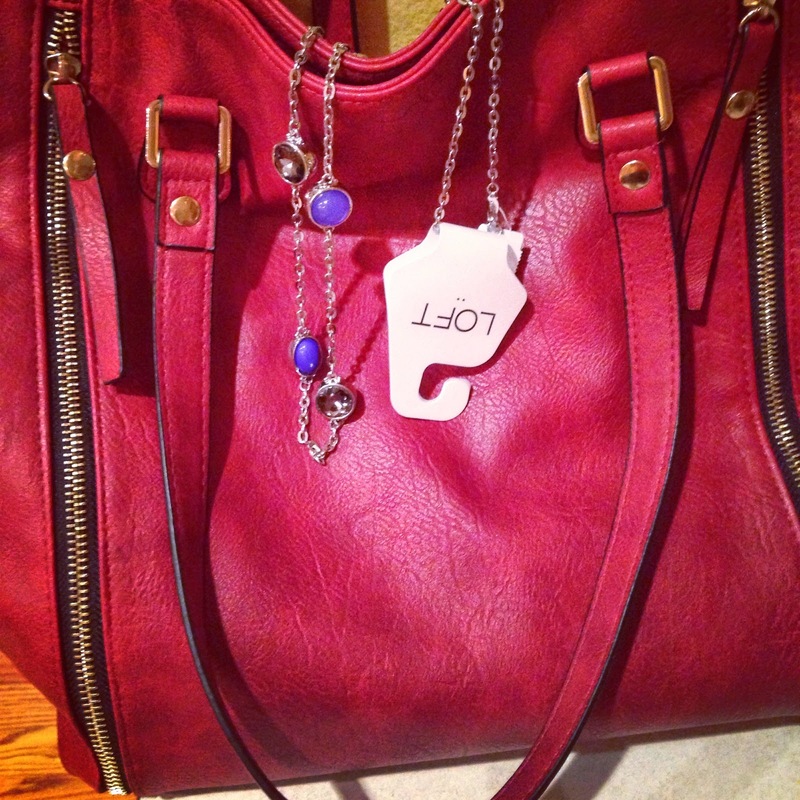 And the Loft necklace is pretty too! I really need to try shopping there more. That's a store I never go into! Loved your post! Loft is a store I need to go into less often - ha ha! Love that you shared things other than from your closet!! I had a post similar and went back to square one! Great memories...love the frog story. Did your son love it at the time?? Haven't been to loft in quite sometime...missed out in that super cute sweater! !Have a great weekend! My son loved the bowl, which is why he wanted it in his room. He'll get it back someday! I love that you made a such a great discovery in your bag!!! Love the sweater with the lace attached...swoon! Have a great weekend! Thank you! Guess I better clean out my purse more often! I'm seriously going to leave this comment and then head to the Loft website. I love the sweater very much! I like the story behind the teacup, although it's a bit sad. I hope she had a lot of love with her baker! And the frog Lenox story is funny!! I'm glad it's not more broken. Sadly, the baker story didn't turn out very well, although she got two lovely daughters! I asked my sister, and she found the sweater at the Loft outlet, if that helps! I love that your husband roots are Norwegian because it makes me feel even more connected to you! So glad you shared that story. The new sweater is really pretty on you - love the lace. Looking forward to seeing that necklace on you soon. Have a beautiful weekend! Thanks Carrie! We'll need to talk about the Norwegian heritage sometime. I am glad that I wasn't the only one who interpreted this post to be about things other than just fashion. I have a new shopping list and your periwinkle blue Loft sweater is at the top of the list. Just love it. Thank you for sharing the bittersweet story about the tea cup. I am sure your hubby appreciates the value you place on his grandmother's prized possession. Aww.. thanks Leslie. The Loft sweater came from the outlet - don't know if you have one near you or not. The sweater is darling, I love the frog bowl and adore the tea cup! Looking forward to see you in the necklace. Just looked in my bag and no treasures! Thanks Haralee! Sorry there were no treasures in your bag, but I bet you are much more organized than me!